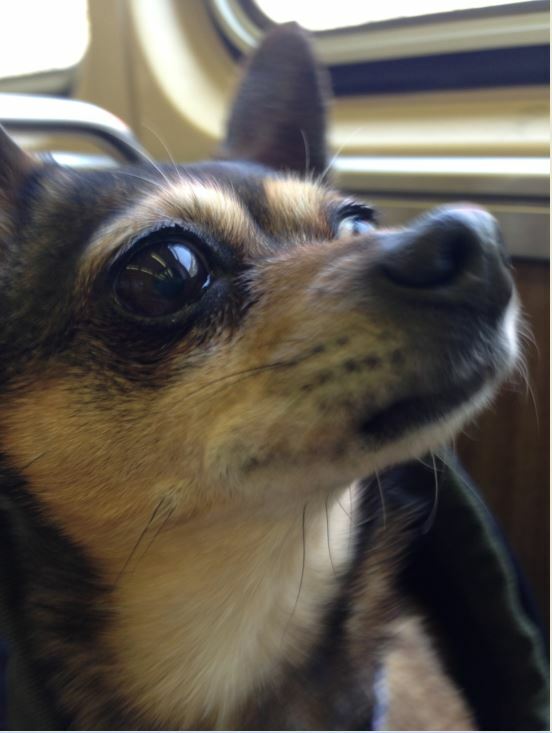 Over the past week or so, Chick has been an avid user of the CTA, riding along on the El train like she’s been doing it for years. It started when she needed to go to the vet for a teeth cleaning. Since she would be going under for the procedure, she needed to spend the day at the vet’s office. 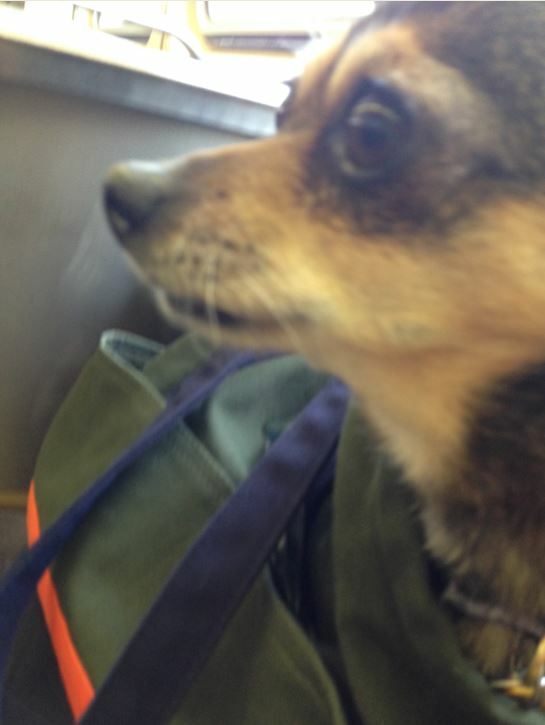 Instead of dealing with rush hour traffic and driving Chick to her appointment, and then having to backtrack to return my car and hop on the train, I just took Chick along with me. We rode a few stops toward the Loop, I dropped her off, and then returned for her on my way home from work. 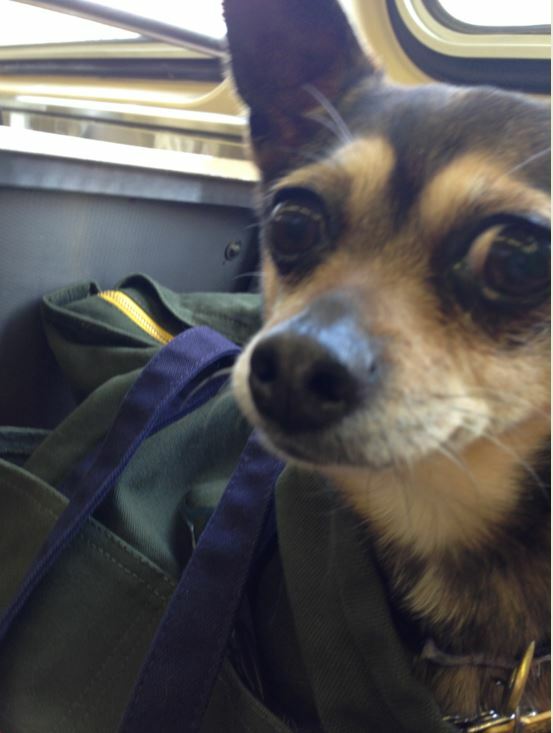 The blue line can get crazy packed in the mornings, but Chick held her own and worked the train like a champ. Then this past weekend, with my car in the shop, Chick and I braved not only the blue line, but a transfer onto the orange line (plus a shuttle transfer since we didn’t know they were doing work on the tracks) all the way to Midway so that I could visit my gram in the nursing home on Easter. I’m so proud of that nugget for behaving so well – barely anyone even noticed her! When I purchased this West Elm dog tote (no longer available), I immediately had buyer’s remorse, but I’m so glad I stuck with it – it gets used all the time now! So jealous. 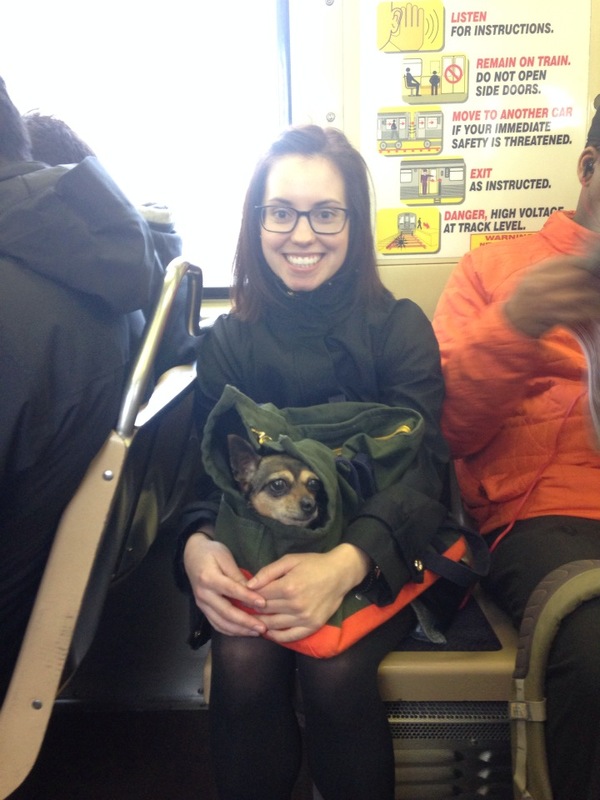 CTA’s rules are that the dog has to fit in a carrier. I’ve considered putting Eko in my roll on luggage but I have a feeling they wouldn’t let us on. I know, I lucked out on this one! Her size works in our favor for sure :) If I saw Eko in a rolling suitcase I’d die! Hi, I just found your blog and I’ll be back! My name is Maija (pronounced My-uh), and I’m posting a chapter per week of my book-in-progress, Funny Tails: Adventures and Misadventures in Living with Pugs, on my website http://maijaharrington.com. It’s a humorous look at life with our 3 pugs plus various foster pugs from Pug Rescue of North Carolina. If your mom ever has time, I suggest that she check it out. So far, readers tell me it’s pretty funny.